MobileHelp’s tagline is, “Help where and when you need it,” and our testing supports this claim. MobileHelp provides the most robust equipment and complete coverage of any Medical Alert System provider in the U.S., delivering what is arguably the most important consideration when purchasing a system – protection 24/7 regardless of wherever you are. MobileHelp offers the largest selection of Medical Alert Systems in the industry, from the affordable, sporty, and always with you ultra-portable Mobile systems to highly sophisticated devices that include advanced monitoring capabilities, InHomeSafetyGuide found MobileHelp to have systems & plans to fit any needs and any budget. When you combine all that with their industry-best response time, it’s no surprise to see MobileHelp top our charts for the third year in a row. 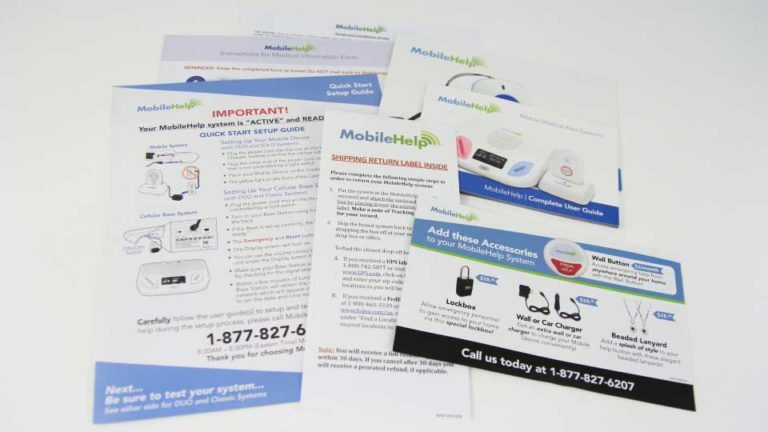 MobileHelp features FDA-compliant equipment (note: MobileHelp’s equipment is used by most top providers in the Medical Alert System space) and pairs that equipment with direct-to-consumer savings, the most robust Mobile Network of any provider, and world-class monitoring centers. 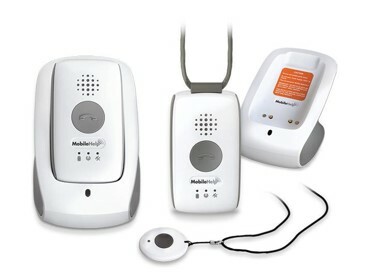 InHomeSafetyGuide recommends MobileHelp be placed on the short list of anyone in the market for a Medical Alert System. InHomeSafetyGuide has been providing buying advice on Medical Alert Systems since 2013 – MobileHelp continues to set solid overall rankings for 2019. Our team of Secret Shoppers gave MobileHelp high marks for both their Customer Care Team and Free Downloadable brochure. MobileHelp’s customer care reps described as prompt, friendly, and knowledgeable while their brochure was noted to be the “most complete” amongst all providers. Our Secret Shoppers frown upon is high-pressure sales tactics, and found MobileHelp to be anything but – our score sheets had “informative and helpful ” checked off throughout our Secret Shoppers interactions with them. 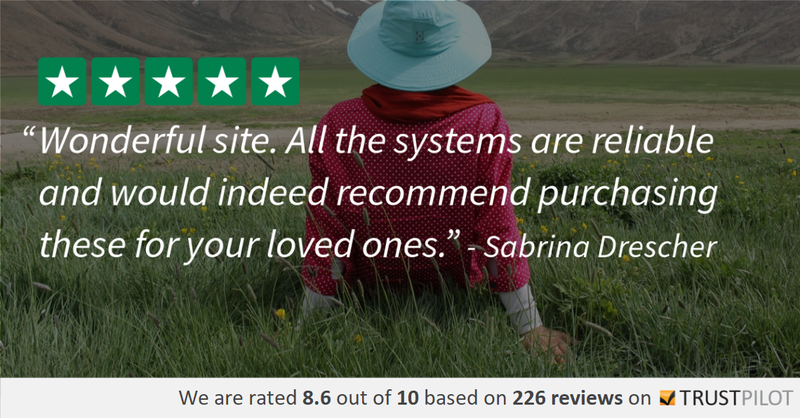 Their customer care team answered every question we threw at them with patience and thoroughness. All of MobileHelp’s equipment is FDA-compliant, – something that distinguishes MobileHelp from others in the industry. In simple terms – MobileHelp does not purchase their equipment and simply place their logo on the systems, they have a research and development team dedicated to creating and delivering the best equipment in the industry. In addition, MobileHelp’s equipment is consistently rated as most attractive and easy-to-use equipment in the industry. 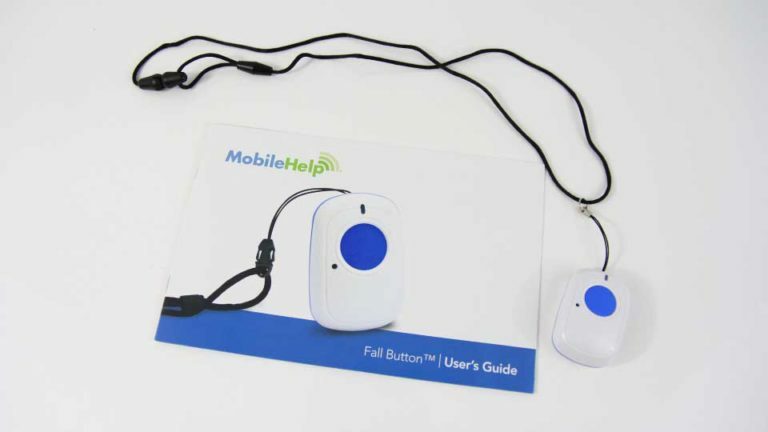 MobileHelp’s systems feature a clear button-control layout, quality finish, and stylish wearables. MobileHelp’s DUO provides Complete Protection at home or on-the-go. All InHomeSafetyGuide Visitors receive a FREE Lockbox with any phone purchase! The MobileHelp Classic: The Classic’s base station uses a cellular signal (no landline required) and displays date, time, and temperature. The system has a 600-foot range and includes two remote help-buttons. The MobileHelp Solo: This is MobileHelp’s most affordable option. The Solo comes with a powerful and portable GPS base unit, with an emergency button and two remote help-buttons (sporty wrist unit or an attractive neck pendant). The MobileHelp Duo: Includes both the Classic and Solo equipment. It’s MobileHelp’s most comprehensive medical alert system. Falls can bring serious complications. MobileHelp offers fall detection as an option on all of their systems. This is a trend that the leaders are adopting: offering fall detection on all systems. If you’re not sure if you need it, just choose the system you want and you can always add that service at a later time. Most medical alert systems companies offer cellular and landline options; MobileHelp is pushing the envelope by going cellular only. With a cellular connection, you get an all-digital system, and you can take it with you when you travel away from home. MobileHelp offers simple instructions to guide you through the setup process. Although, it’s really just a matter of plugging in the base station and/or GPS charging cradle and you’re all set. The helpful user guides also include tips on the best places in your home to position your base station. Your MobileHelp system setup is not complete until you call in and test your system to ensure it’s working accordingly. MobileHelp doesn’t lock you into a contract. The company’s annual plan is the best deal, compared to their monthly plans. Our Secret Shoppers found the price of MobileHelp not only competitive but in many instances beating the competition. Our advice: take advantage of the FREE Lock Box offer and sign-up for an annual plan for the best value. Fall detection costs an additional $10 per month. 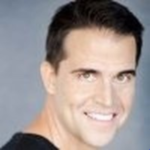 MobileHelp’s technology is some of the best in the industry, and we think it’s well worth an extra $10 per month. MobileHelp has free shipping on plans beyond the monthly plan. The monthly plan is their costliest choice. Therefore, we recommend avoiding the monthly plan if possible. Medication reminders are free, and you may even be able to get a couple of free extras, such as a lockbox if you mention InHomeSafetyGuide. NEW! MobileHelp Smart – Help at the touch of a button. It changes the game for medical alert systems. 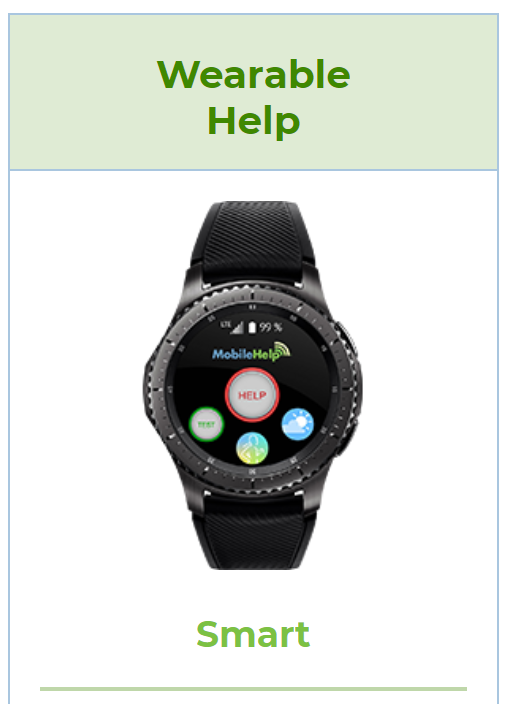 MobileHelp partnered with Samsung to develop a stunning new product that combines emergency response functionality and digital health capabilities. 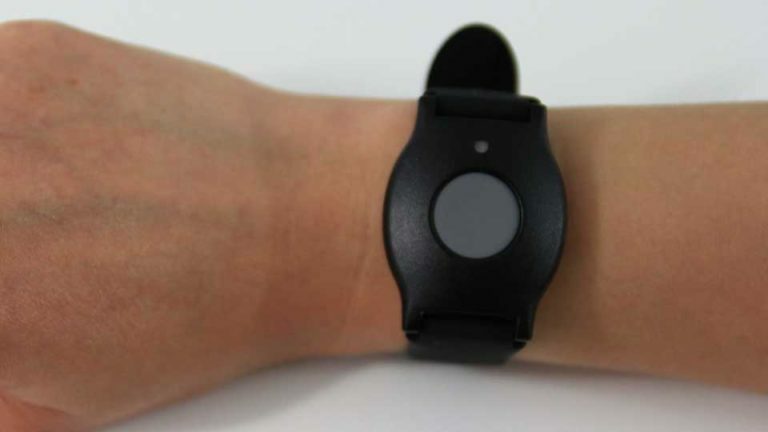 MobileHelp Smart embodies a new frontier of discreet wearable medical alerts. With a built-in microphone and speaker, activity tracking, vital sign sensors, and health-focused applications, MobileHelp Smart marks the future of digital health. 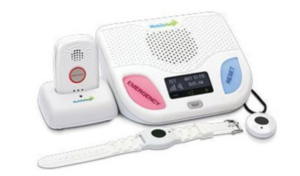 So discreet that it is virtually invisible to observers, the MobileHelp Smart medical alert system invites you to enjoy 24/7/365 protection without hesitation. Say goodbye to the stigma of traditional medical alerts with a medical alert watch, custom-tailored for your safety by two of the world’s leading tech giants. MobileHelp delivers reliable service, 24/7. Its response time (less than 17 seconds on average) was solid in our tests, including setup, emergency testing, and general inquiries. 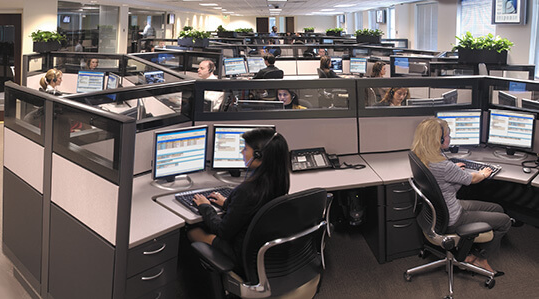 Also, its call centers are based in the U.S.
Their emergency monitoring service is provided through a close, strategic partnership with Rapid Response, which has provided reputable emergency response services for over 25 years. MobileHelp’s advanced technology also transmits critical vital signs to emergency operators, saving precious time. MobileHelp offers the best equipment, service, and pricing, and they’ve earned glowing reviews from their customers. MobileHelp captures the top spot on our list with relative ease.